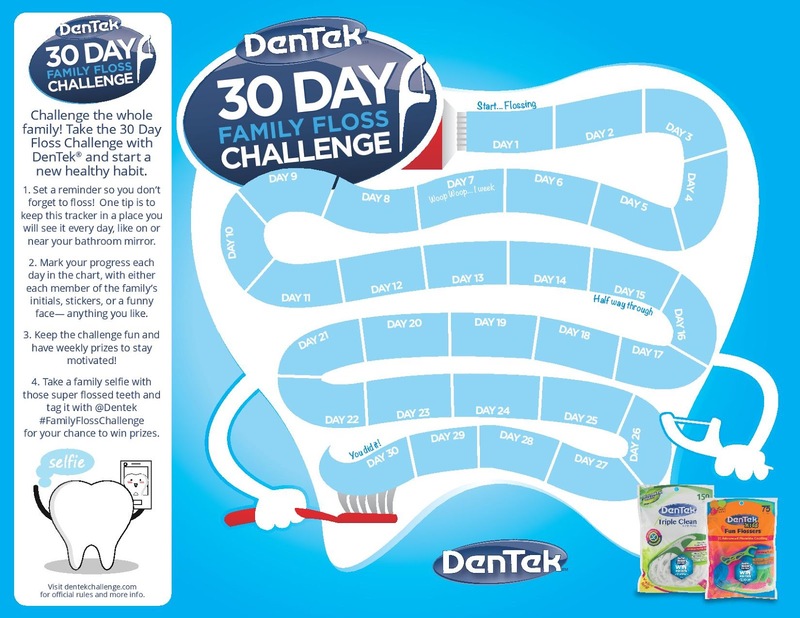 Just in time for 2018, DenTek is providing the reward families need with the 30 Day Family Floss Challenge and the chance to win an array of great prizes to motivate families to make flossing a part of their oral care routine including movie tickets and gift cards, with one grand prize redeemable for $2,500! 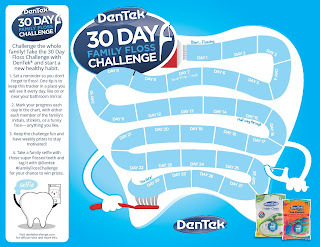 How to take the challenge is you download your calendar, take a family cell-free with those super floss teeth and post on Instagram Twitter, or Facebook tagging @Dentek and #FamilyFlossChallenge to win prizes ends January 31, 2018. I was also sent some floss picks to review which I’m going to share with you Triple Clean which gives you three times the clean and action in one floss pick as it scrubs between tight teeth, stimulates the gums, and removes food along with the plaque. Tongue cleaner bites bad breath with a minty flavor, the superstrong floss is guaranteed not to break even when used on the tightest teeth and has an advanced fluoride coating. Dentek Fun Flosser makes flossing fun for children while establishing healthy dental care habits at an early age. This feature a smaller head, and easy grip handle, and a while fruit flavor kids will love. The scrubbing floss removes food and plaque. My Opinion: I like how easy these are to travel with just throw a few in your purse to have throughout the day at work or if you don’t work just after every meal so you have fresher breath. I found them easy to use and fit between my teeth even the teeth that are tight when I pulled the floss pick out the floss was still intact so that is a very impressive.